Australian batsman David Hussey was on Friday given the nod to play for Chennai Super Kings in place of the injured Dwayne Bravo by the Indian Premier League technical committee. The Mahendra Singh Dhoni-led side had already signed Hussey in the Chennai squad a couple of days back with the Aussie joining the team soon after as he was in India as an IPL commentator for the host broadcaster. The 36-year-old, who has played 69 ODIs and 39 T20s for the Kangaroos, has plenty of IPL experience, having featured in 23 matches for Kolkata Knight Riders and 36 matches for Kings XI Punjab in previous seasons. 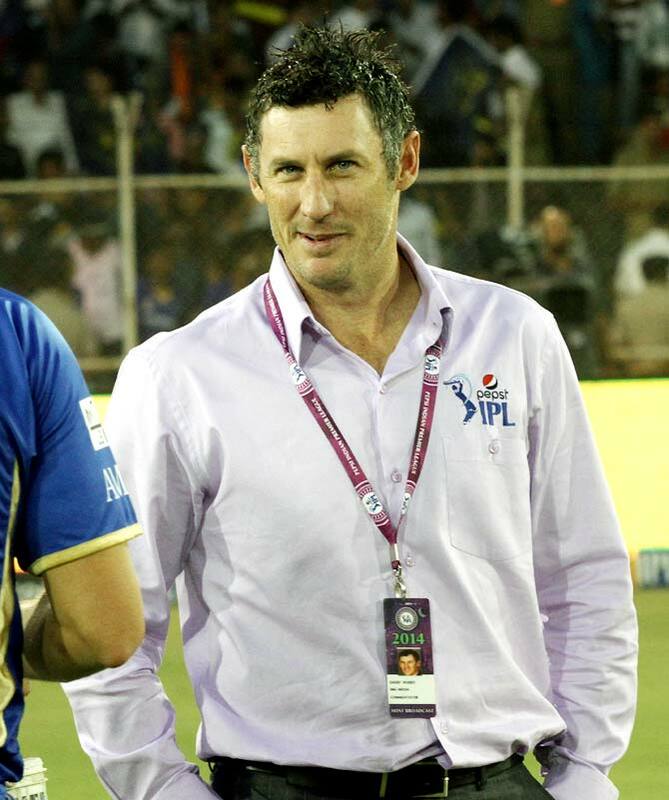 David's elder brother Michael Hussey was one of Chennai's finest overseas players, scoring 1691 runs in 46 games between 2008 to 2013. West Indies all-rounder Bravo was ruled out of the tournament after injuring his shoulder while fielding against Kings XI Punjab during the teams' first match in UAE. Australian pacer Ben Cutting says most pitches in India are conducive for bowling the odd bouncers, which can make life difficult for the batsman. One of his biggest strengths is the ability to get sharp bounce at a good pace. Asked if it gets difficult when bowling in conditions that negate his strengths, Cutting responded in positive. "It can, sometimes. But in saying that, most wickets in India are actually conducive to the odd bouncer. A little bit more grass on this wicket and we could get the odd one to rise. "Sometimes, when you bowl short on these sorts of wickets, it can actually be harder to play than it is on a true wicket, where the batsman can use your pace," he was quoted as saying in IPL's official website. He said he has picked up a few tips from fellow countryman James Faulkner before making his IPL debut in his team Rajasthan Royals' big win over Delhi Daredevils. PHOTOS: Narendra Modi a hit in the IPL too! AB de Villiers most complete batsman of modern era. Do you agree?